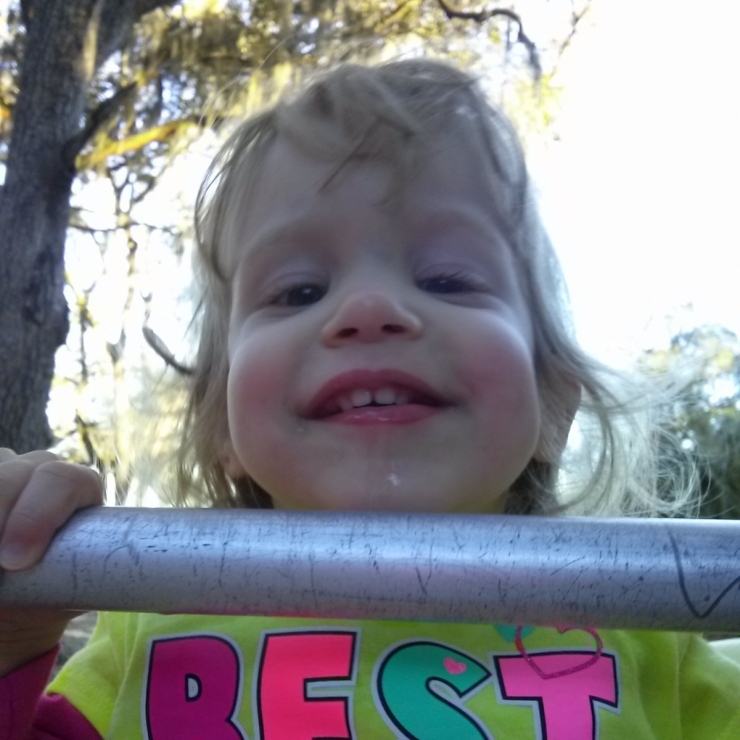 Provided a reliable family truck, backyard playscape, & adaptive stroller. On September 24, 2012 a star was born. It feels kind of lame to use such an obvious cliché, there’s just no better way to describe Blakely. At home, her three siblings cater to her every whim, chauffeuring her pink Barbie Power Wheels à la “Driving Miss Daisy” and jumping at her slightest beck and call. At school, students from every grade shower her with attention – a group of fifth-graders brought her CheezIts and apple juice for her birthday (her favorites), and there’s no shortage of friends holding the door for her. She’s friendly, outgoing, and charming. There’s just something about her. 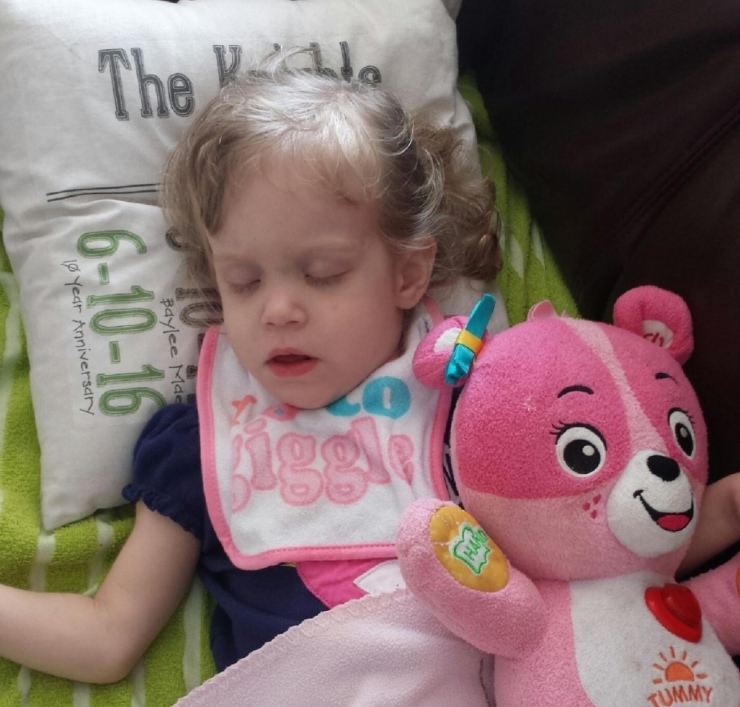 When Blakely was just a few months old, her parents began to worry. Those basic baby milestones we typically over-celebrate weren’t happening on time; rolling over and sitting up occurred far later than they should have, and when Blakely was about nine months old, her eyes were noticeably turned inward. 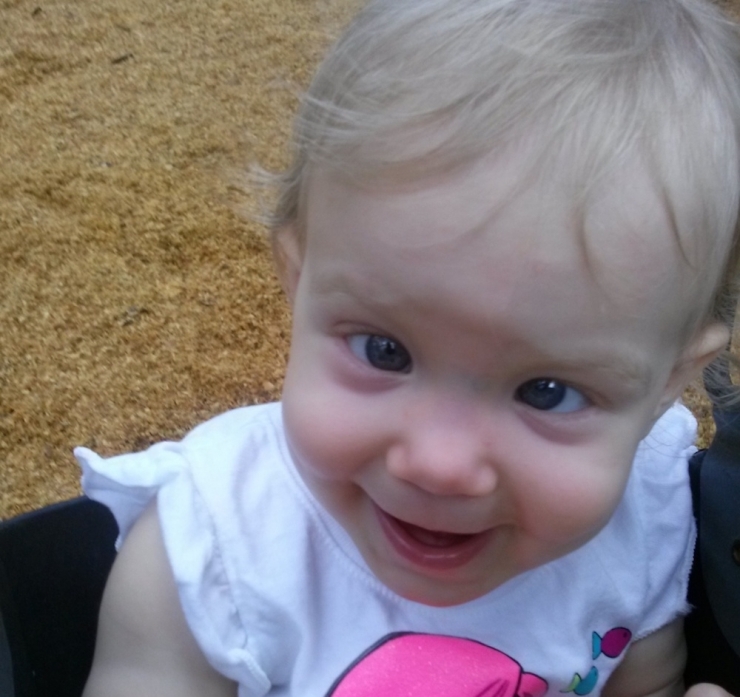 After a visit to the pediatric ophthalmologist and a rather high-risk eye surgery, one-year-old Blakely was back on track. Except she wasn’t. 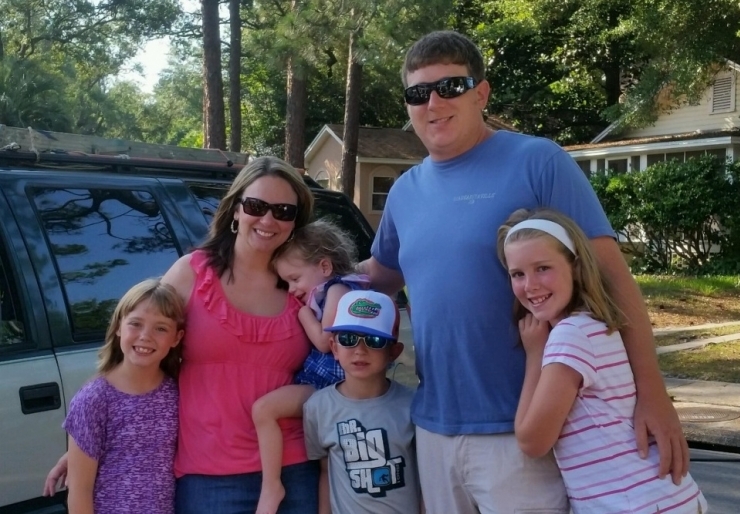 “Things completely changed for our family during Blakely’s 15-month check-up,” recalls Kelly, Blakely’s mom. 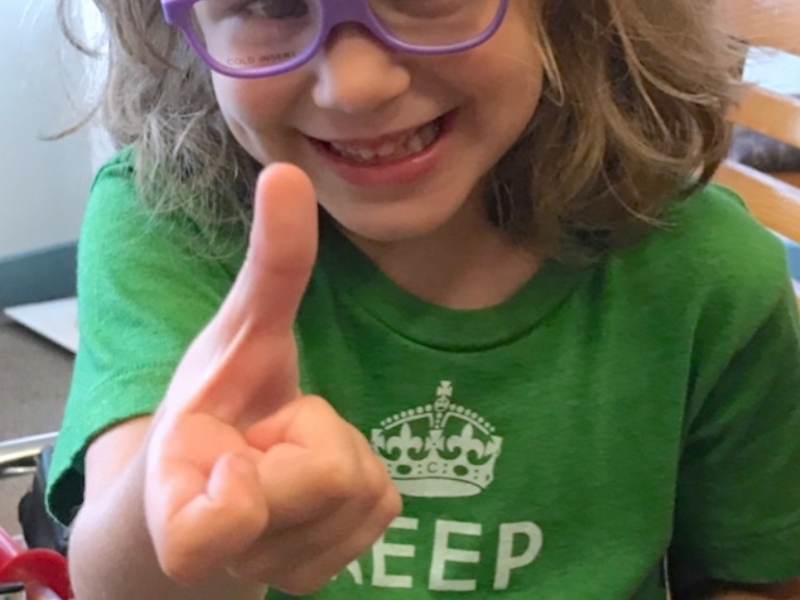 “The pediatrician became more concerned for her developmental delays and referred us to a neurologist for an MRI to ensure nothing was going on with her.” After meeting with the neurologist, then with an ENT, the next step was a pretty routine ear tube surgery. It should have improved Blakely’s speech and gotten her back on track. It didn’t. The neurologist ordered an MRI and genetics testing to see if there were other issues holding up Blakely’s development. Neither test produced earth-shattering results, but the doctor did recommend starting physical and occupational therapy, and adding orthotics and a walker to help with mobility. Surely these would do the trick. As parents, as humans, really, we take for granted how unpredictable life can be. Sometimes it takes a big, life-changing event to shake us out of complacency. Other times, something very simple can wake us up. Like a tiny, plastic ankle brace. Slowly, the orthotics and weekly therapy started to help. It meant lots of juggling for Blakely’s parents, getting her to PT, OT, and speech therapy, keeping up with the other three kids’ schedules, and working full time to afford it all. Dad took over shuttle duty, packing them up in his old truck and burning up the highway between appointments. And then, things went the way they always go when you think you’re on track; there was a hiccup. Blakely started drooling excessively, and wearing a bib was the only way to keep her shirt from being completely soaked. They went to the pediatrician, then back to the ENT, and then back to the hospital to have Blakely’s tonsils and adenoids removed. The drooling stopped and Blakely’s breathing improved dramatically. It made a huge difference! “A student came in and gave us a Google printout of the diagnosis,” Kelly says with more than a hint of irritation. 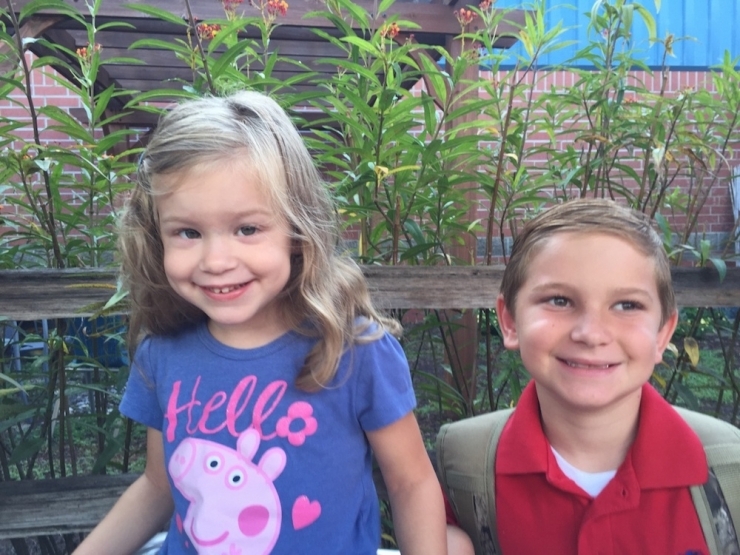 “We demanded to see the neurologist.” A month earlier, in August of 2015, Blakely had a second MRI. 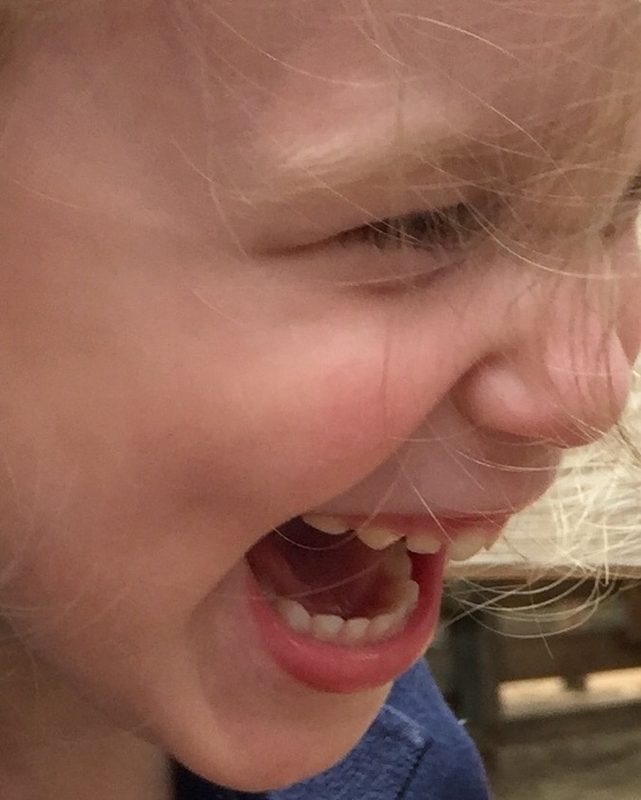 After years of chasing down one condition after another, they finally knew it was Joubert Syndrome wreaking havoc on Blakely’s brain development. The definition of Joubert Syndrome sounds like it could have been written by Blakely’s parents. Symptoms include hypotonia (weak muscle tone) and ataxia (poor coordination), abnormal breathing patterns, and abnormal eye movement. On an MRI, patients with this disorder exhibit an underdeveloped cerebellar vermis and a malformed brain stem, which makes their brains look like the shape of a molar tooth. The degree of mental impairment varies case by case, and Blakely is one of the lucky ones to be cognitively on-point for her age. 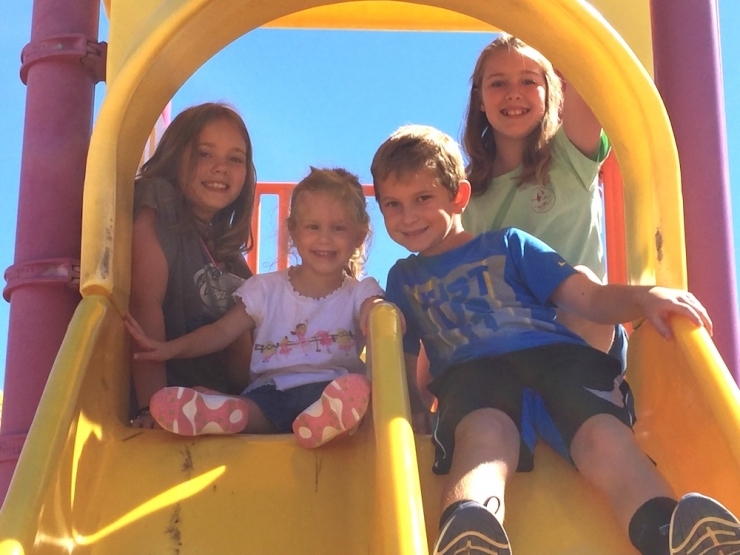 It’ll take countless hours of physical and occupational therapy to bring Blakely’s motor skills along, but her family is focused on her progress and they see improvement all the time. Like the rest of the folks fortunate enough to meet Blakely, we fell right into her trap the minute we saw her. Maybe it’s those big, beautiful eyes? For sure those dimples reduced us all to puddles. We’re also particularly fond of her infectious spirit – girl radiates positivity and determination. We decided we absolutely had to help this little ray of sunshine achieve her goals. 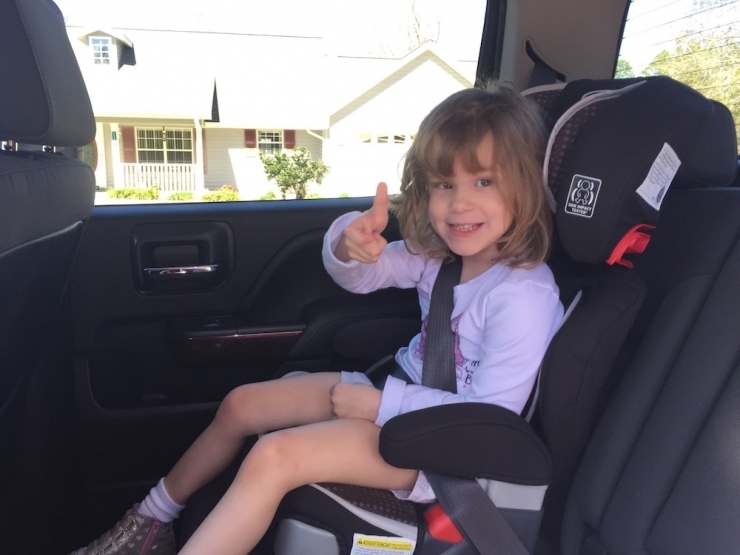 First and foremost, we wanted to make sure Blakely could get to therapy safely. 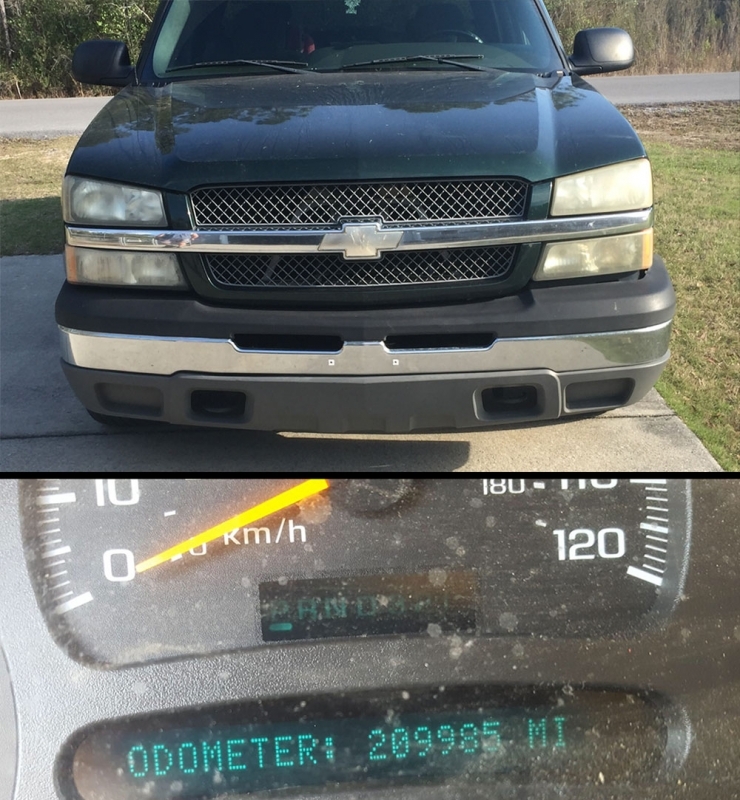 Dad’s old truck is literally burning up the highway – it overheats on regular basis. And there’s really no room for Blakely’s walkers in the cab. Second, we wanted to help Blakely progress between therapy sessions, and it turns out lots of the equipment used in OT can be found on a backyard playscape. Yay! The last thing on Blakely’s wish list was sturdier stroller. Thirty-five pounds doesn’t sound so heavy...unless you’re the one carrying her! 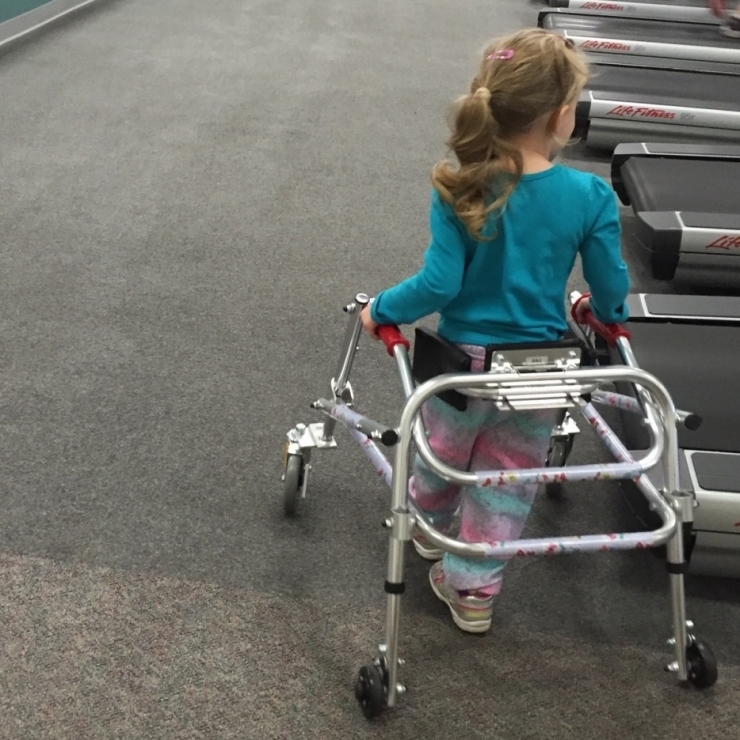 Until she’s really, truly walking unassisted, an adaptive stroller is a huge help. 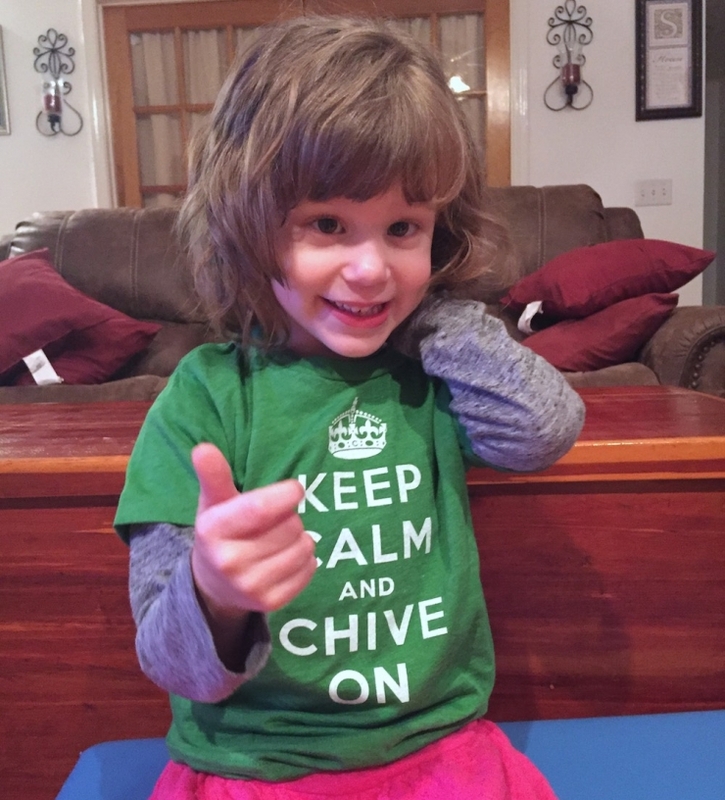 Chive Charities Green Ribbon members are committed to making miracles happen every day. Their generous donations funded a $36,000 grant providing a reliable truck, a playscape, and an adaptive stroller for this little superstar. We can’t wait to watch Blakely get stronger, more independent, and show Joubert Syndrome who runs the show. 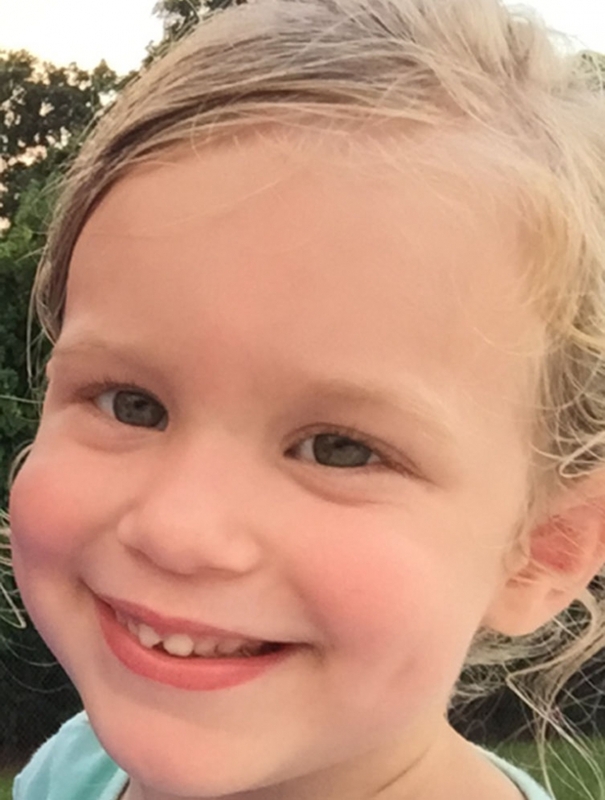 To join the mighty Green Ribbon members and fight for more kids like Blakely, click HERE.